SARASOTA, FLORIDA, January 16, 2018 – There are some added reasons to cheer for folks who bought recently at the University Village, as well as their neighbors across Tallevast Road at the older Palm Lakes condo neighborhood. This coming April, the budget airline Allegiant will open its local presence. It will launch three new nonstop flights to and from the Sarasota-Bradenton International Airport (SRQ) which is easily accessible west of these two communities via the Tallevast Road corridor. Residents of Soleil, a new property development of national builder D.R. Horton on 27th Street East just off north of the University Parkway, also enjoy proximity to SRQ and could potentially benefit from Allegiant’s opening flights at the local airport. The three cities that Las Vegas-based budget airline will offer direct flights include: Cincinnati, via Cincinnati/Northern Kentucky International Airport; Indianapolis, via Indianapolis International Airport; and Pittsburgh via Pittsburgh International Airport. With these convenient services in place, increased traffic of tourists, as well as potential buyers of Sarasota homes for sale, from these cities could be expected. Meanwhile, a partnership controlled by New York-based investor Lee Rosner has recognized the great potential of local properties in a big way. Rosner’s group recently sealed a $10.4 million deal for its acquisition of the Airport Commerce Center on the northwest corner of Tallevast Road and 15th Street East also close to the SRQ. A series of capital improvements are now planned for this 183,283-square-foot, eight-building office and warehouse complex. 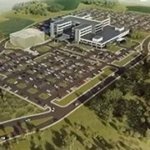 Currently, the 15-acre complex is about 93 percent occupied but its new owner still sees plenty of potential for improvement given its superb location. 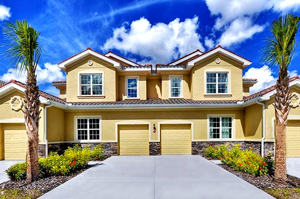 Its superior location too appears as prime driver to home sales at the University Village, a development of Medallion Home which counts as a new search destination for Sarasota bedroom communities. In 2017, some 14 newly built villas here were sold all at the $200s‒$300s price range. Designed as pair villas, these residences feature two bedrooms and two baths within floor areas measuring between 1,400 and 1,650 square feet. Market turnover is even stronger at the nearby Soleil neighborhood of D.R. Horton wherein 35 sales were notched last year. There are plenty of choices remaining too in this community comprised of 66 single family homes and 184 coach homes offered as condo units. Soleil condos for sale are typically designed with living areas ranging from about 1,400 square feet up to 1,675 square feet designed with two to three bedrooms and two baths. Pricing of these units are quoted in the $200s. Single family homes for sale in Soleil, on the other hand, start from the high $200s and typically top in the $400s. These sales listings feature floor areas of between 1,800 and 2,700 square feet good for three bedrooms and a minimum of two baths. 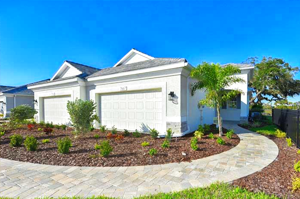 At the older community of Palm Lakes, the recent market activity is on condo villas with floor areas of between 1,450 and 1,750 square feet designed with two to three bedrooms. Priced starting from the $200s, these sales-listed residences often don’t last long in the market, indicative of how prime its SRQ area is.